With a swap to rear disk brakes on my 1987 4Runner, I was left without any provision for an emergency brake on my Toyota. I was aware All Pro Off Road out of Hemet, CA had a trick emergency brake setup that was a direct bolt-in for trucks and 4Runners with gear driven transfer cases, and was pretty excited to give it a try. Now I know that when I say "bolt on", that can mean a lot of different things - especially in the off road product world. But this kit from All Pro really is a true bolt on kit - taking about an hour to install. The kit comes with everything you need for the installation. A heavy duty bracket for mounting the caliper assembly to the back of your transfer case, a custom cut rotor, as well as the necessary bolts and miscellaneous hardware you will need. Here is what I started with - the back of the stock transfer case. 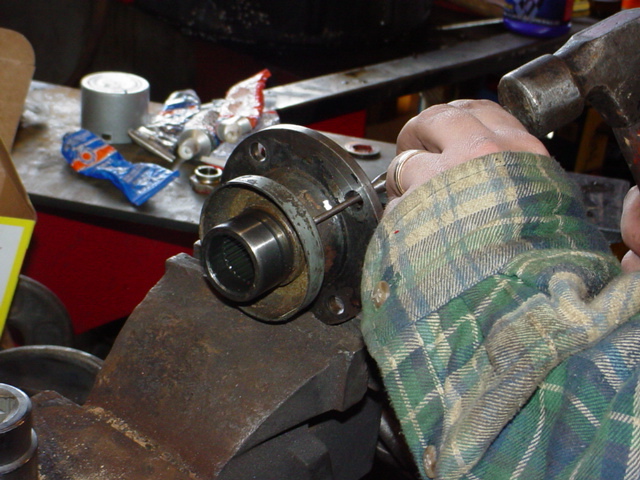 Simply remove the driveshaft from the flange, then remove the nut holding the flange in place on the transfer case. 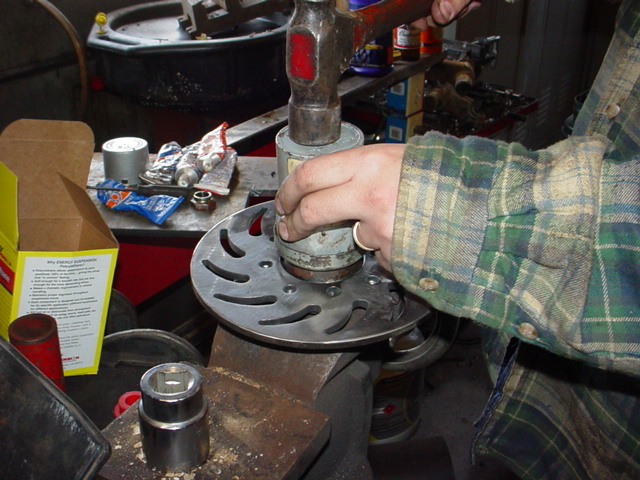 A chisel was used to remove the metal dust seal on the flange. 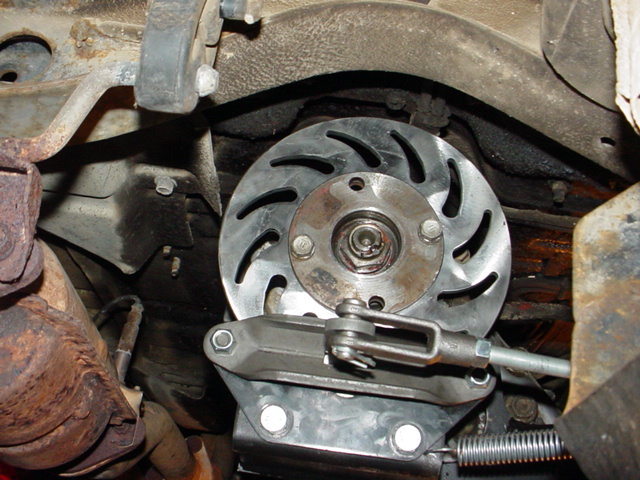 This is necessary so that you can place the brake rotor behind the transfer case flange. Once the rotor is in place, Simply press the dust seal back on behind the rotor. Re-install the flange making sure to properly torque the nut and re-stake it to keep it in place. Go ahead and reinstall the driveshaft with the longer bolts included in the kit. 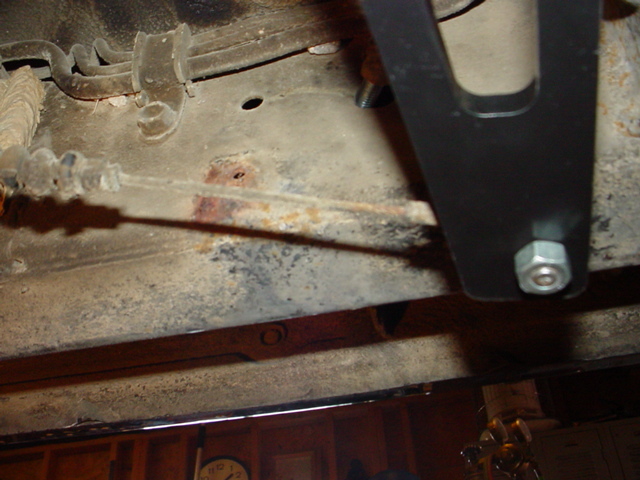 Taking a look at the bracket, you can see some of the stock transfer case housing bolts need to be removed. You don't even have to drain the fluid to do this, so go ahead and get them out of the way. These bolts will be replaced with longer ones included with the kit. Now you will need to disconnect the rear section of the stock emergency brake and get it out of the way. 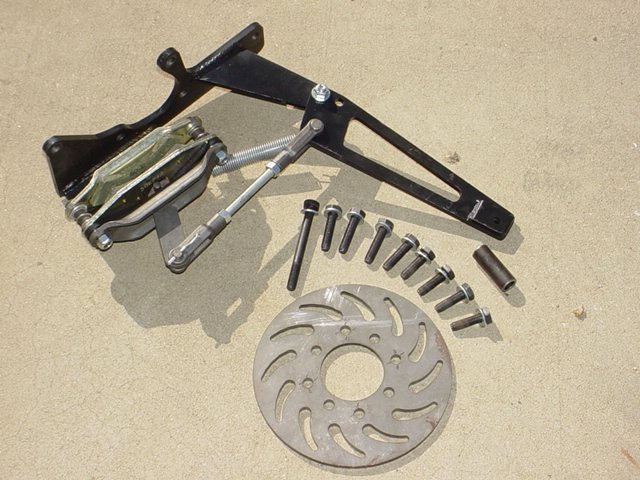 Attach the actuator arm of the All Pro brake to the stock brake assembly. You may need to adjust the actuator arm to get it to feel and hold, but it's easy to do and only takes a few minutes. I know it sounds too easy - but that is all there is! As I said, it may take a few adjustments to get it set right, but this brake kit from All Pro works well. I found myself putting it to good use during the build-up of my 4Runner when I did not even have rear brakes hooked up. 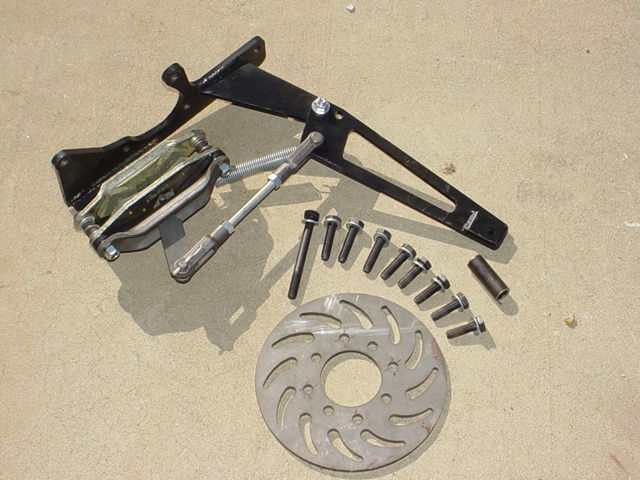 The All Pro e-brake was great for use in parking and stopping during the build process, even on inclined surfaces. Later I tested the unit by parking on obstacles and setting the brake, and was easily able to hold the vehicle securely in place with the vehicle running, and in neutral... Impressive! Overall, I have been very impressed with this emergency brake kit from All Pro Off Road. Easy installation was followed up by use of a product that works. Since I was converting to rear disk brakes and thus eliminating the stock rear emergency brake setup, a kit like that that takes it's place and is operated by the factory pull lever really is a great addition to any Toyota.